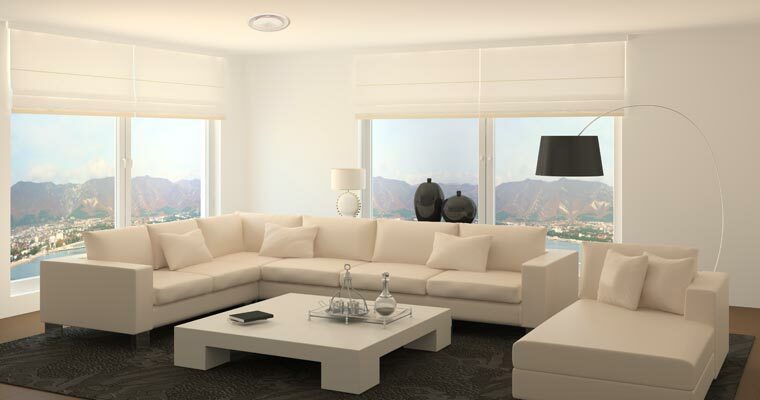 Ducted Central Heating and Air Conditioning systems are available for installation in both new builds and retrofits. Fitted throughout the house, Central Heating is a cost-effective and convenient way to achieve unobtrusive, whole-home heating. At 250mm in height, Central Heating systems are designed for installation in tight spaces and offer whisper-quiet heating and cooling over multiple rooms. With only the grilles visible, the Central Heating system is one of the most discrete heating and cooling solutions available. Mitsubishi Electric have come up with several installation options to choose from. Depending on your interiors, you can select the option that best suits your home. Whether it’s in the ceiling, walls or under floor, your technician can offer advice on where best to install the grille in each room. Each Ducted Central Heating and Air Conditioning system in the Mitsubishi Electric range come with the option to include Lossnay Fresh Air Ventilation. The ventilation solution integrates with your Central Heating system to remove stale air and control moisture to keep the air fresh. Lossnay Fresh Air Ventilation retains the energy from the stale air and uses it to pre-heat or pre-cool the fresh air it delivers to you, thus reducing the amount of additional energy needed to then heat or cool. As ventilation is known to improve the overall health of your home, the Lossnay Fresh Air Ventilation system is the perfect addition to your Central Heating system. 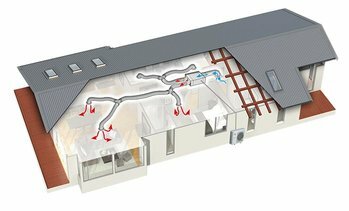 Ventilation significantly reduces the presence of moisture and mould and ensures only fresh, clean air is being circulated throughout your home. The option to upgrade to include Wi-Fi Zone Control means you can control up to four or up to eight zones individually. With Wi-Fi Zone Control you can minimise your energy usage by only heating or cooling the rooms that require it. An authorised installer simply connects the Wi-Fi interface to your heat pump’s control board enhance your Central Heating system’s capabilities. The Wi-Fi Zone Control also includes built-in sensor functions that monitor each room’s temperature, brightness and occupancy. 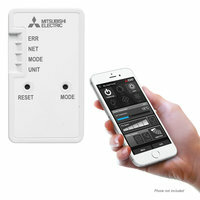 Mitsubishi Electric have designed these feature to further maximise the energy efficiency of the Central Heating system. The Wi-Fi Interface is an optional upgrade that can be connected at the time of installation or retrofitted to an existing Mitsubishi Electric model. Not limited to Central Heating systems, the upgrade is also compatible with Mitsubishi Electric High Wall or Floor Mounted heat pumps.